Discussion in 'Law & Justice' started by waltky, Feb 7, 2017. February 7, 2017 - A study of more than 300 Buffalo police officers suggests that the high-stress environment can leave the officers more vulnerable to disease. For most people, cortisol, the vital hormone that controls stress, increases when they wake up. Its the bodys way of preparing us for the day. But in police officers whove experienced intense stress on the job, cortisol functions much differently, according to recent research from the University at Buffalo and funded by the National Institute for Occupational Safety and Health (NIOSH). A study of more than 300 members of the Buffalo Police Department suggests that police events or conditions considered highly stressful by the officers may be associated with disturbances of the normal awakening cortisol pattern. That can leave the officers vulnerable to disease, particularly cardiovascular disease, which already affects a large number of officers. We wanted to look at what stressors most affect police officers in their work and what affect that has in the dysregulation of this awakening cortisol pattern, said John Violanti, PhD, research professor of epidemiology and environmental health in UBs School of Public Health and Health Professions.Past studies havent really looked at the intensity of the stressor and how it affected this cortisol pattern. Here we looked at actual intensity, adds Violanti, lead author on the paper, published in the January issue of the journal Psychoneuroendocrinology. The study included 338 Buffalo officers who were enrolled in the Buffalo Cardio-Metabolic Occupational Police Stress (BCOPS) study, a long-term study Violanti began in 1999. What stresses officers the most? For this study, participating officers assessed a variety of on-the-job stressors using a questionnaire that asks officers to rate 60 police-related events with a stress rating. Events perceived as very stressful are assigned a higher rating. Exposure to battered or dead children ranked as the most stressful event, followed by: killing someone in the line of duty; having a fellow officer killed on duty; a situation requiring the use of force; and being physically attacked. Identifying the five most intense stressors police can face was significant, Violanti said. When we talk about interventions to help prevent disease, its tricky because these stressors are things that cant be prevented, he said. Thats why the availability of peer support programs within police departments is important. The survey showed that the officers experienced one of the five major stressors, on average, 2.4 times during the month before the survey was completed. They should spend time with lower school children and exercise more. if they were to have to go and patrol the kids, maybe they could teach them a good lesson on life, and be cheered up by little smiles? I have seen some who died fairly young with Heart attacks and the Dr said it was stress induced. March 8, 2017 - Lompoc Police Officer Miguel Grijalva died after an apparent suicide early Tuesday morning. A Lompoc, California police officer died after an apparent suicide early Tuesday morning. Officer Miguel Grijalva was off duty and outside of the city limits when he died, according to The Lompoc Record. The investigation into the death of the 3-year veteran of the force is being handled by the Santa Barbara County Sheriff’s Office. "The Lompoc Police Department asks the community to keep Miguel and his family in your thoughts and prayers," City Spokeswoman Samantha Scroggin said in a statement. "Our Lompoc Police Department employees are devastated by this news and are grieving, as well." The city plans to provide counseling for police department staff. Being a law enforcement officer is indeed an occupation that produces extremely high levels of stress. Whereas other individuals would seek to avoid potential hazards, law enforcement officers are required to go towards such hazards. Every individual they approach must be regarded as potentially dangerous to their well being, as any encounter can yield potentially lethal results, regardless of the nature of the interaction. Beyond dealing with the worst that society has to offer, law enforcement officers face substantial burdens on performance from those who are higher up on the chain of command, often being tasked with meeting various quotas or punished with any number of repercussions, ranging from denial of promotion, to undesirable work shifts, to being denied paid overtime. All of this is compounded by the requirement to maintain silence when observing the illegal and corrupt behavior of fellow law enforcement officers, knowing that they will experience retaliation if they speak up. March 31, 2017 - The sergeant was found around 8:35 a.m. Friday morning inside of a stairwell on the fourth floor at the Westside Patrol Station. The man found dead Friday morning at a west Houston police patrol station was a sergeant in the department. The 21-year Houston Police Department veteran apparently killed himself with a single gunshot to the head, Chief Art Acevedo said. The sergeant was married and had two children, ages 10 and 12. 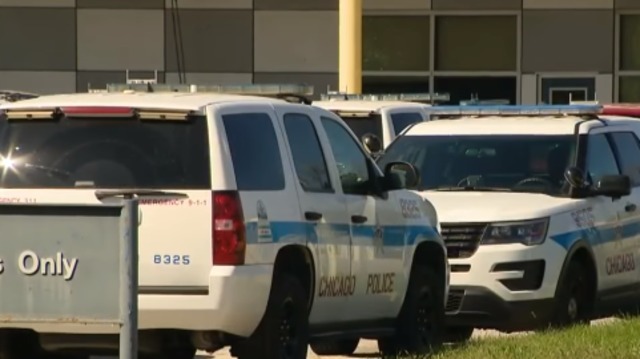 The sergeant was found around 8:35 a.m. inside of a stairwell on the fourth floor at the Westside Patrol Station, where he worked, at 3203 South Dairy Ashford, Acevedo said. The fourth floor is not currently in use, so no one heard the gunshot. Officers working in the station decided to search the facility after they discovered at 7 a.m. the sergeant had not come to work. "You can't explain these things," Acevedo said. "We ask that people please just pray for the family, pray for those young children." Police have not yet released the sergeant's name, and the investigation continues. HPD psychological services and chaplain services were on site at the Westside Patrol Station on Friday morning. More law enforcement officers die each year by suicide than in the line of duty, according to the International Association of Chiefs of Police. Risk factors for officers include "exposure to violence, suicide, or other job-related stressors; depression, anxiety, or other mental illness; substance abuse; domestic abuse; access to means to killoneself (e.g., firearms); and poor physical health," according to research cited by the U.S. Department of Justice. An expert who studies police suicide, John Volanti, found that officers actually have a slightly lower suicide rate than the general public (12 per 100,000 versus 13 per 100,000). He calculated that police have are 8 times more likely to die by suicide than homicide and 3 times more likely to die by suicide than by accidents. About 100-150 officers die by suicide each year, Volanti found. The FBI cited Volanti's work in describing the profile of officers most at risk for suicide: "91 percent were male, 63 percent were single, and those between the ages of 40 and 44 with 15 to 19 years of service were most at risk. This profile represents a significant percentage of those currently employed by law enforcement agencies. Some of these officers are experiencing mid-career burnout and malaise, but have too many years invested to change careers and are years away from retirement eligibility." The most recent known suicide by a Houston Police Department officer came in August 2014 when 21-year veteran Rudolph Farias III, under investigation in a ticket-rigging scam, fatally shot himself in a patrol car in a downtown police parking garage. March 31, 2017 - Richmond Police Sgt. D. Nelson was punched by a belligerent man he was trying to help, after finding him in the middle of a busy street on Wednesday night. A police sergeant was punched by a belligerent man he was trying to help, after finding him in the middle of a busy street on Wednesday night, authorities said. Richmond police Sgt. D. Nelson suffered a broken nose when he was punched by the man, who had been laying in the 700 block of 23rd Street at about 10:15 p.m., according to police. Nelson also suffered other cuts but will be OK, police said. The man he was trying to help was arrested on suspicion of assaulting a police officer. 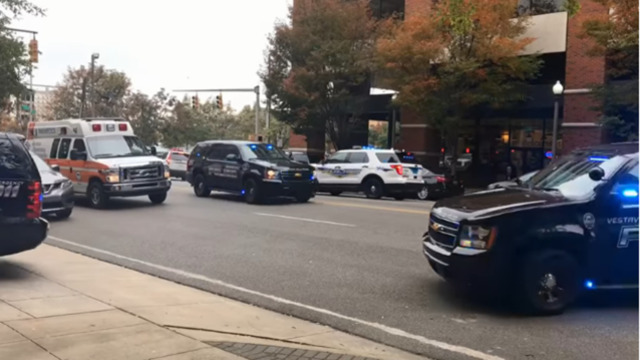 According to police, Nelson saw the man in the middle of the street, which is typically a busy one and has four lanes of traffic. Nelson made a U-turn in his patrol car to block off a section of 23rd street after several cars swerved to avoid the man, police said. Nelson then tried to help the man across the lanes of traffic and onto a sidewalk. Once there, police said, he asked the man his address, only to see him become agitated. Police say the man then threw a punch without warning, and the two started to struggle. Nelson subdued the suspect eventually and got him into handcuffs. Nobody else was injured. That's (in red) part of the problem and a self-fulfilling prophecy. Cops see everyone as the enemy, so they treat everyone as the enemy, and over time people learn to look at cops as the enemy. Your second paragraph also contributes to the peoples view as cops-are-the-enemy. The "quota" issue is rampant through the system. Cops have all kinds of quotas - bring in revenue (write tickets), the more charges against a person the better, the more severe the charges the better, the higher their arrests per response the better. State attorneys have the same attitude, the more convictions and the more severe the charges the better, they pile on charges and delay the process to put pressure on a person to make a deal. Innocent people get fined and convicted, guilty people (and some innocent) get convicted of crimes they did not commit. The end result is that people no longer see cops as "officer friendly", but as the enemy. Then throw in the no-knock raids to the wrong house, the innocent people murdered by cops (such as John Crawford, murdered while shopping in WalMart) and the cops get away with no consequences, and its no wonder cops feel threatened. To a large extent, cops have done this to themselves. And to a large extent, I have no sympathy for them,. March 31, 2017 - The death of Rolesville Police Chief Bobby Langston II has been ruled a suicide after he was found dead in his home Wednesday of a self-inflicted gunshot wound. The death of Rolesville's police chief has been ruled a suicide, Wake Forest police said Thursday. Bobby Langston II, 45, was found dead in his home around 6:45 p.m. Wednesday of a self-inflicted gunshot wound, according to a news release. A woman who called 911 said her husband had shot himself in a bedroom and that he "left a note," without disclosing what it said. The caller said her daughter was also at the home. Rolesville police asked the Wake Forest department to investigate because of "the tragic nature of this loss and severe emotional impact on all members of the Rolesville Police Department," the release said. Langston served in law enforcement for more than 20 years, starting his career in Wendell where he grew up. After he was sworn in as an officer with the Wendell Police Department in 1994, he rose through the ranks and became a captain. He joined Rolesville police in 2013 and became chief in 2015. The town, located about 15 miles northeast of downtown Raleigh, has seen major growth that put more demands on the small-town police department. With a population of roughly 6,000, Rolesville is a popular bedroom community for families looking for a suburban setting. Langston oversaw two cases that shocked the community and catapulted the town into the news. In December 2015, police determined that Kristy Bryan started a fire at her Rolesville home that killed her and her 3-year-old son, Tyler. Tyler's twin was injured in the blaze, which was ruled a murder-suicide. Two months ago, a video was posted on Twitter showing a police officer slamming a Rolesville High School student to the floor. Ruben De Los Santos, who was working as a school resource officer for the Rolesville Police Department, was placed on administrative leave and later resigned. Flags in Rolesville were lowered to half-staff Thursday to honor Langston, and town hall is closed for the rest of the week. In a news release from the town, officials said Langston was "admired and respected" in the community. "He stood for character and ethics and ran the Department likewise," it said. "He will truly be missed." "I'm at a loss for words," Town Manager Bryan Hicks said Thursday. "Not only has the community lost our chief of police, I've lost my friend." The town has set up the Langston Family Trust Account with the State Employees' Credit Union to accept donations. Money will help with funeral costs and education expenses for Langston's children, according to the town. Wendell Town Manager Teresa Piner said Langston was a dedicated employee during his time with the town. Its no joke, police are not the peoples favorite any longer but even the most avid of police haters could not deny the stress levels of law enforcement. April 4, 2017 - The Massachusetts Coalition of Police is instituting the American Foundation for Suicide Prevention’s anonymous screening tool to help distressed cops. The Self-Check Quiz is an online tool offered by the American Foundation for Suicide Prevention and used by institutions of higher education, workplaces, law enforcement agencies, and Employee Assistance Programs (EAPs) to reach distressed people and help connect them to mental health services before a crisis emerges. It is also known as the Interactive Screening Program. The program expansion to MASS C.O.P. has been made possible by a generous grant from the law firm of Sandulli and Grace. Those who are interested in bringing the Self-Check Quiz to their precinct can learn more here: https://afsp.org/isp. June 2, 2017 - Veteran Chicago Police Officer Dina Markham was found by a family member unresponsive in the bathtub on Sunday after ingesting pills. Chicago police recently sought the FBI's help in reinvestigating the apparent suicide nearly two years ago of a sergeant after officers raised concerns about how evidence was collected at the scene, a source told the Tribune. Then, over the Memorial Day weekend, the renewed probe took a stunning twist after the sergeant's wife, herself a veteran police officer, was found dead in the couple's same Northwest Side home, records show. Dina Markham, 47, a 22-year veteran of the force, was found by a family member unresponsive in the bathtub on Sunday after ingesting pills, according to police. The Cook County medical examiner's office has not ruled yet on the cause of death, but a police spokesman said the case was being investigated as a suicide. The tragic turn of events came as the FBI, in an unusual move, was re-examining the September 2015 death of Markham's husband, Donald. He had apparently shot himself in the home in the city's Norwood Park community after a drunken argument with his wife, police reports show. The death was ruled a suicide at the time by the medical examiner's office. But the source said Superintendent Eddie Johnson sought the FBI's help after an officer had raised concerns about how evidence was handled at the scene. Johnson reviewed the case before deciding to contact the FBI. Documents obtained by the Tribune through an open records request show that Johnson's general counsel had been reviewing the Donald Markham case in February, when the Evidence and Recovered Property section sent records of evidence collected at the scene to the superintendent's office. The investigation was still ongoing as of Wednesday. The city's Inspector General's Office was also involved. Police reports obtained by the Tribune show Dina Markham told police her husband, 51, had locked her out of their home the night of his death after the couple had been out drinking and argued after leaving a bar at about 1 a.m. She said she discovered her husband dead in their bed after one of her children let her in the house, the reports said. She said she then called 911. Her husband was pronounced dead at 3:34 a.m. at the house in the 5900 block of North Newark Avenue by a doctor from Presence Resurrection Medical Center, the records show. October 11, 2017 - Increasingly, even the need for officers to be alert to the signs and symptoms of depression and mental illness in themselves and their peers has been embraced. October is Depression Awareness and Mental Health Screening Month. As awareness of depression and mental illness grows, stigmas are confronted, and many traditional prejudices fall away, people are increasingly able to speak about mental health issues with greater ease and openness than in the past. Being able to say, “I have depression” or “I suffer from mental health issues” is now – and thankfully - considered more an acknowledgement than an “admission.” In many ways law enforcement has been a leader by coming to see police officers as first responders not only to crime but also as part of the critical front line in the provision of mental health services to people in crisis. Accordingly, officers are better trained and educated than ever before, with younger officers much more open to their place on this front line. This has been remarkably beneficial for the communities they serve. Increasingly, even the need for officers to be alert to the signs and symptoms of depression and mental illness in themselves and their peers has been embraced. The psychological risks of a law enforcement career are being taken more seriously, options for officers in need of help are being developed and implemented, and sincere efforts to reduce stigma are being made. We salute this! Still, a lot of myths surrounding depression remain, as well as negative biases towards people who have depression (and other mental illnesses). Some continue to believe it is something that classifies someone as emotionally weak or somehow lesser of a person. Others believe that a diagnosis of a depressive disorder will disqualify them from a law enforcement career, is more than it is or somehow on par with more serious and often permanently debilitating psychoses, or cannot be “fixed” through therapy or medical intervention. Myths are dangerous when facts can easily counter them, and it is our hope to further reduce stigma. Research into depression is extensive and ongoing and has illuminated both the scope of the problem and its roots in genetic and biological etiology. In addition to what has long been understood about the biochemical aspects of depression – that depressed people have a lack of, or overproduction of, certain chemicals needed in the brain to be released into the bloodstream to stabilize a person’s mood, and that without the proper chemical balance a person’s mood will fluctuate and go to lows from which a person cannot rebound back without the proper medical help and interventions – we now know individuals coping with depression have a higher level of stress hormones present in their bodies, and that brain scans of depressed patients show decreased activity in some areas of the brain. There are other types of serious depressive disorders, as well, such as bipolar disorder, dysthymia (a chronic low-grade depression often lasting for months or years), and adjustment disorders with depressed mood. Considering the number of people suffering from these disorders the number of people touched by depression grows by millions more. October 16, 2017 | 118 law enforcement officers died in the line of duty last year in the United States, the FBI reported on Monday. That was up 37 percent from the 86 law enforcement officers who died in the line of duty in 2015. In 2016, 66 of the 118 deaths of law enforcement officers were felonious and 52 were accidental. In 2015, 41 of the 86 deaths of law enforcement officers were felonious and 45 were accidental. Another 57,180 officers were assaulted in the line of duty in 2016, and 16,535 (or about 29 percent) sustained injuries from that assault. "All of these numbers increased from figures reported in 2015, when 45 officers died accidentally and 41 were feloniously killed in the line of duty," the FBI said. A total of 50,212 assaults were reported in 2015. Of the 52 officers who were killed in accidents in 2016, 26 were killed in auto accidents, 12 were struck by vehicles, and 7 died in motorcycles accidents. Through its Uniform Crime Reporting Program, the FBI collects data about the circumstances surrounding assaults against law enforcement and officer deaths. The data is collected from campus, local, state, tribal, and federal law enforcement agencies, as well as FBI field offices and non-profit organizations that track line-of-duty deaths. The FBI data is used in officer safety training. Not only do police have a hard time coping but now that a target has been put on their heads thanks to their mayors and politicians replacements are lower than ever. Police are retiring early, or changing jobs and reruites are hard to find as are replacements. So we will soon have thugs aka SSTroop types running rough shod over our cities. How about some gang bangers too? Perhaps the time is coming for the people of the united states to begin looking after themselves, rather than expecting law enforcement to do it for them. December 13, 2017 - Three Lawrence police officers were exposed to the dangerous opioid fentanyl after a mother told police her son and a friend were dealing drugs out of her apartment Monday night. Three police officers were possibly exposed to the dangerous opioid fentanyl after a Summer Street mother told police her son and a friend were dealing drugs out of her apartment Monday night. The officers, Richard Brooks, Leo Silvera and Philip Hendricks, said they felt lightheaded and complained of a funny taste in their mouths after responding to the first floor apartment at 30 Summer St. just after 7 p.m. An unknown quantity of what appeared to be "heroin and fentanyl," two opioids that are commonly mixed, was found in a bedroom of the apartment, according to a police report. The three officers "were all feeling sick from the search of the apartment" and were taken to Lawrence General Hospital ER for treatment. Police Chief James Fitzpatrick said Narcan, a drug which reverses the effect of an opioid overdose was not used. The three officers were checked out as a precaution and later released, he said. Fentanyl is a manmade opioid which is 50 times stronger than morphine. Simple contact with fentanyl can be harmful, first responders have said. The drug is often mixed with illegal doses of heroin and has been blamed for fatal overdoses throughout the region, which remains in the grip of an opioid epidemic. Walter Garcia, 35, of 30 Summer St., was arrested and charged with illegal drug possession as a result of the incident. Both Garcia and his friend were in the apartment when police arrived, according to the report. Garcia said his friend was in the bathroom — but when police opened the door they discovered "the male that was in the bathroom had jumped out through the bathroom window and fled the area," according to the report. In the report, officers said "in plain view in the bathroom trash" they found a glassine baggie containing several small glassine baggies of a "white and brown powder substance." Police also asked the woman if she knew where her son was hiding the drugs in the apartment. She said right before police arrived her son "had placed something in a plastic bag under the cabinets of the sink." The woman also gave the officers permission to search her son's bedroom. She signed a consent to search form, according to the police report. During the bedroom search, police found "more quantity of what appears to be heroin and fentanyl." 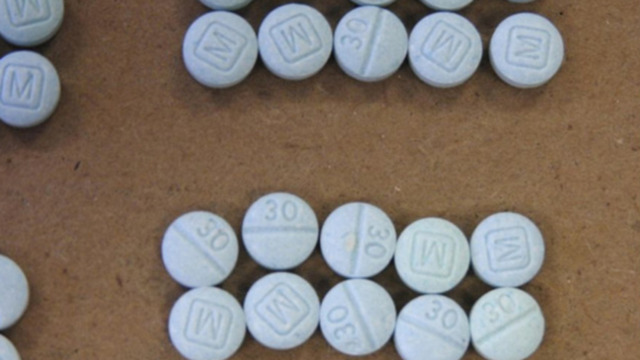 "The quantity of the drugs was not documented due to the fact that we believed there to be fentanyl mixed with the glassine baggies containing heroin," according to the report. Cell phones, cash, credit cards and identifications from several individuals were also seized as evidence by police. To say nothing about the fact that every individual encountered may be infected with HIV and/or AIDS. Yup. It is time to disarm government police and to arm the people as per the 2d Amendment. Strange how right wingers never call for this. Suicide levels are even higher for veterans and farmers. Nobody hates them and that is understandable as they do not go around harming people, engaging in drugs sales, shakedowns, or violating people's rights. Abusing others is often a sign of self hatred. People need to calm down and to stop abusing others. As a society, it would better for all of us if the government was disarmed. Those of you who are right wingers should be the first ones to demand this. Cops always skate on murder charges. Considering its Chicago it's almost guaranteed that he was killed for being crooked or because someone thought he was going to blow the whistle on them. The entire government of Illinois and the city of Chicago need to be fired and the expenses charged to the taxpayers of Illinois for being such a monumental bunch of dumbasses. Time with lower school children causes more disease. Young children are major disease vectors.